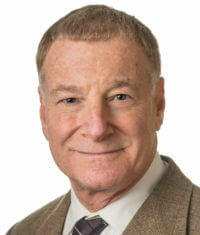 Stephen B. Hanauer is past President of the American College of Gastroenterology. He completed a medical degree, with honors, at the University of Illinois in Chicago. His postdoctoral training included an internship and residency in internal medicine, as well as a fellowship in gastroenterology, at the University of Chicago. He rose through academic ranks to become Professor of Medicine and subsequently was awarded the Joseph B. Kirsner Chair in Medicine and was designated Chief of the Section of Gastroenterology, Hepatology and Nutrition where he served from 2000-2014. He was recruited as the Medical Director of the Digestive Health Center at Northwestern Medicine and is Clifford Joseph Barborka Professor of Medicine in the Northwestern Feinberg School of Medicine as of January 1, 2014. Dr. Hanauer is board certified in internal medicine and gastroenterology by the American Board of Internal Medicine and the American Board of Gastroenterology, respectively. He holds membership in several professional societies and is a Fellow of American Gastroenterological Association, the American College of Gastroenterology and the American College of Physicians. In connection with the American Gastroenterological Association (AGA), Dr. Hanauer served as chair for the Inflammation, Immunology, and Inflammatory Bowel Disease Section and the Clinical Practice Section and subsequently served as Councilor for Clinical Research on the AGA Governing Board. He is a prior member of the Specialty Board of the American Board of Internal Medicine. Among his many honors, Dr. Hanauer received the AGA Fiterman Foundation Joseph B. Kirsner Award in Gastroenterology in 2001 and the Janssen Award for Clinical Excellence in 2004. He has served as a Member and Chair of the U.S. Food and Drug Administration Advisory Panel for Gastrointestinal Disorders and is a member and former-Chairman of the International Organization for Inflammatory Bowel Disease. Dr. Hanauer has authored over 400 peer-reviewed journal articles, books and book chapters, abstracts, monographs, and editorials. Dr. Hanauer is ex-Editor-in-Chief of Nature Clinical Practice Gastroenterology & Hepatology and currently serves as Associate Editor (IBD) of Clinical Gastroenterology and Hepatology. He is also a member of the editorial boards of numerous journals, including the American Journal of Gastroenterology, and Inflammatory Bowel Diseases.